Land in the Southern Appalachians is precious soil. The people grow out of this soil as surely as plants take root and spring upward towards sun. The people grow strong to work the soil and they bend as the soil pulls their tired bodies back to lay in peace within it. Yet, the cycle is more a dance than a dirge. The dance is the dance so many children and adults have today forgotten. It is the jitterbug of stream-beds and the waltz of wind-blown mountain tops. It is the courtly movement through rows of cabbages and corn. It’s the balanced step-dance across a foot-log. 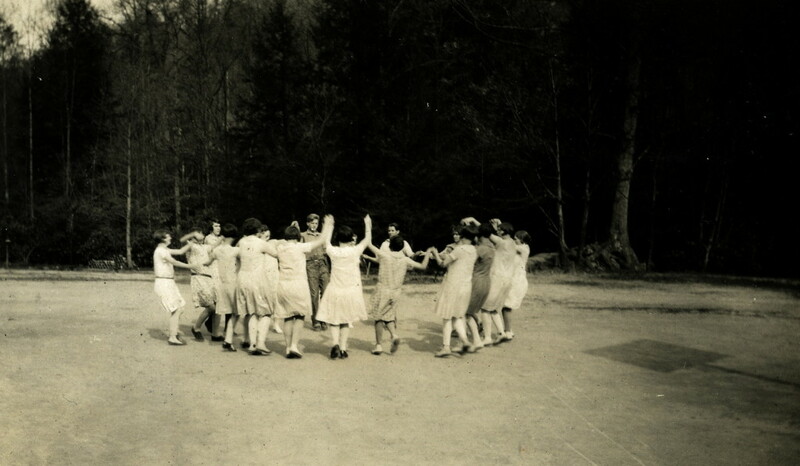 It is a dance that educates for wholeness; the kind of wholeness often found in the rhythm of rural country sides. Dancing in the cabbage patch was part of the early education at Pine Mountain Settlement School. It was not an education just for children. It was the exercise of everyone who marveled at the cycles of life and the bountiful bloom of new crops as they re-shaped flat field and high hill. It was and is all that is intuited in the fragile relationship with the land. A dance in the cabbage patch is an exercise in the nourishment of both body and soul. It is a solo dance made joyful by the sharing. We can dance alone, or we can grow the patch together. At one time Pine Mountain raised over 10,000 heads of cabbage. Today, together, the cabbage patches are unlimited for us all if we can re-connect with the land. 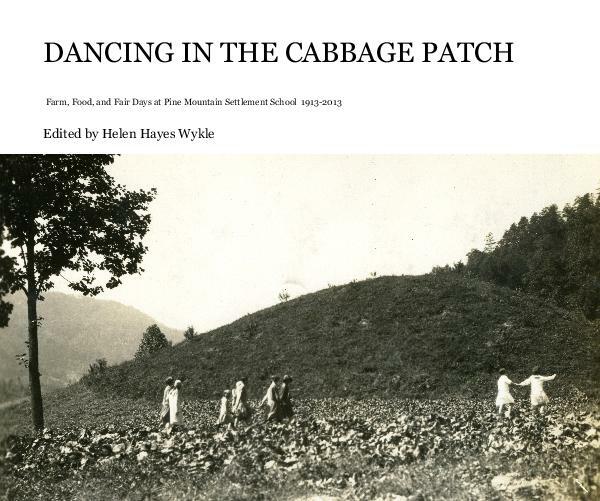 “Dancing in the Cabbage Patch” is structured into a series of essays, or in the current jargon “Blogs,” that explore the land of Appalachia, farming, foodways, and the celebrations found in the unique Appalachian settlement school of Pine Mountain, now celebrating its 100th year. 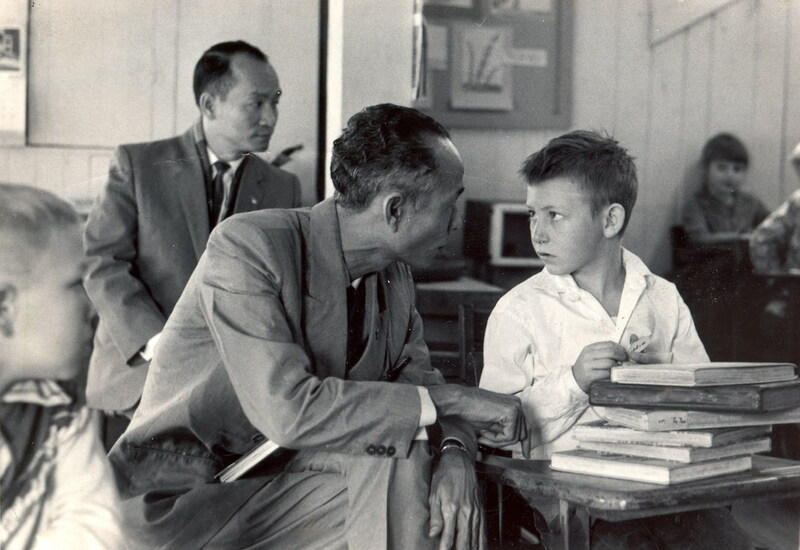 The foundation of Pine Mountain can be found in the early efforts of key visionaries in both the School and the community. 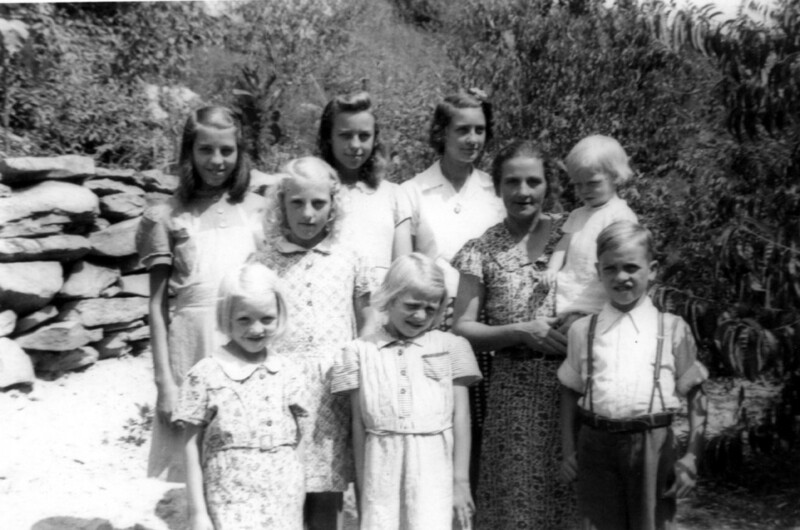 Some of these unique individuals are described in their BIOGRAPHY located in the PINE MOUNTAIN COLLECTIONS ARCHIVE. Some may be discovered in the many stories that have been told about this geographic region. When William Creech gave his land so that Pine Mountain Settlement School could begin in 1913, he also gave to the School one of the most famous quotes associated with the institution. Katherine Pettit, a co-founder of the School, used this brief passage that was part of a longer letter by William Creech, when promoting the institution. It continues to resonate with many cultures and lives. Most all of Pettit’s successors at the School have found this quote to be foundational. I don’t look after wealth for them. I look after the prosperity of our nation. I want all younguns taught to serve the livin’ God. Of course, they wont all do that, but they can have good and evil laid before them and they can choose which they will. I have heart and craving that our people may grow better. I have deeded my land to the Pine Mountain Settlement School to be used for school purposes as long as the Constitution of the United States stands. Hopin’ it may make a bright and intelligent people after I’m dead and gone. 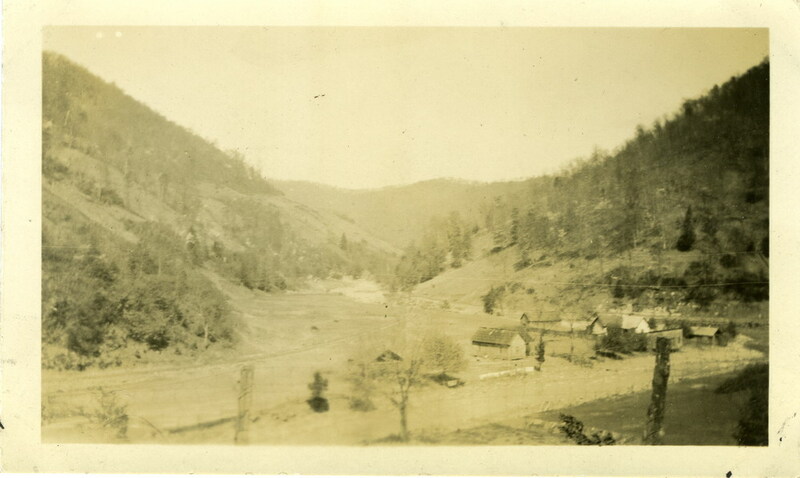 Uncle William and Aunt Sal donated 135* acres of land for the Pine Mountain Settlement School. [*This acreage varies in the historical record and often includes the donation of other land from community and lumber and mining companies.] 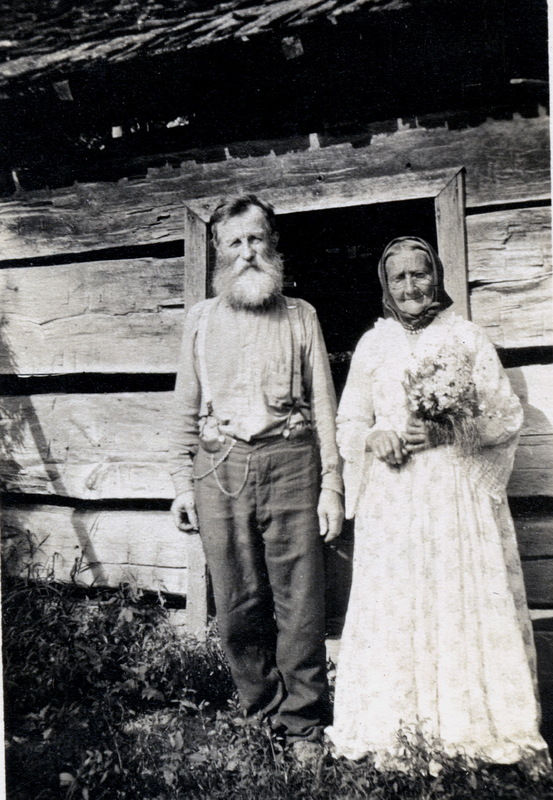 In this photograph the Creech couple re-enact their wedding in front of their original cabin home in 1917. The original “Aunt Sal’s Cabin” was relocated to the grounds of the Settlement School in 1926 and is now a central landmark. Katherine Pettit (1868 -1938) was a Kentucky native. She served as co-director at Pine Mountain Settlement School until her retirement in 1930. For the next five years she traveled throughout Harlan County urging farmers to adopt modern farming techniques. In 1932, she visited South America. In that same year, she received the Sullivan Medallion from the Univ. of Kentucky as the outstanding citizen who of the state in that year. She died Sept. 3, 1938 at the age of sixty-eight. Ethel de Long Zande (1868 -1928), a New Jersey native and Smith College graduate, was recruited by Pettit to be the co-director of the School and to give academic guidance, fundraising and educational programming. Pettit knew de Long’s work as she had served in a similar position at Hindman Settlement School where she worked with Pettit for two years. Ethel de Long provided basic education for children and training for mothers in health, cooking, and home care. She married Luigi Zande in 1918 and died much too early of cancer in 1928. Her short time at Pine Mountain left a lasting legacy. Mary Rockwell Hook was recruited to Pine Mountain to serve as the lead architect for the buildings and the grounds of the school. Her work represents one of the first instances of women’s work in the architectural profession. As one of the first group of women to graduate from the school of architecture in the Ecole de Beaux Arts in Paris, her work has earned the School recognition as a National Historic Landmark. The architecture, like the people grew up out of the land and it always runs as a sub-text throughout all that is Pine Mountain Settlement School. 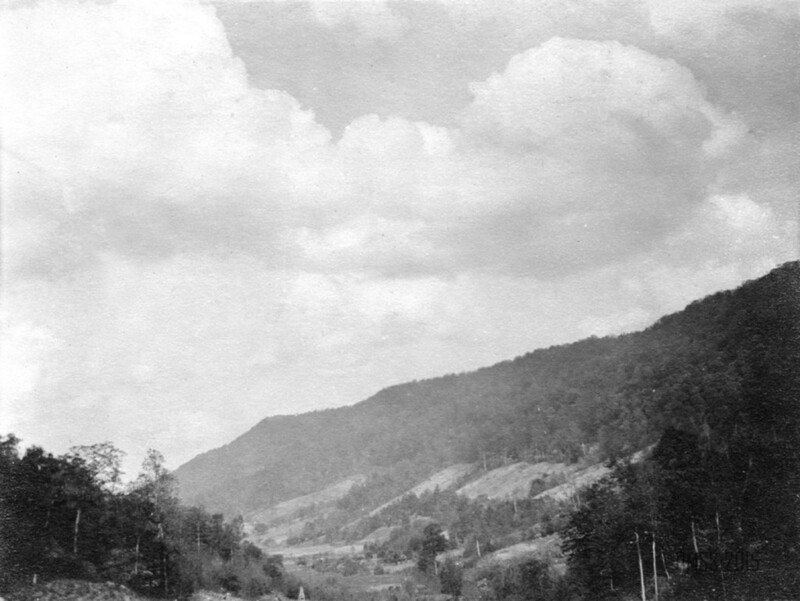 “Uncle” and “Aunt” were generally not designations of familial relationship, but were titles of respect and endearment in the Pine Mountain community. 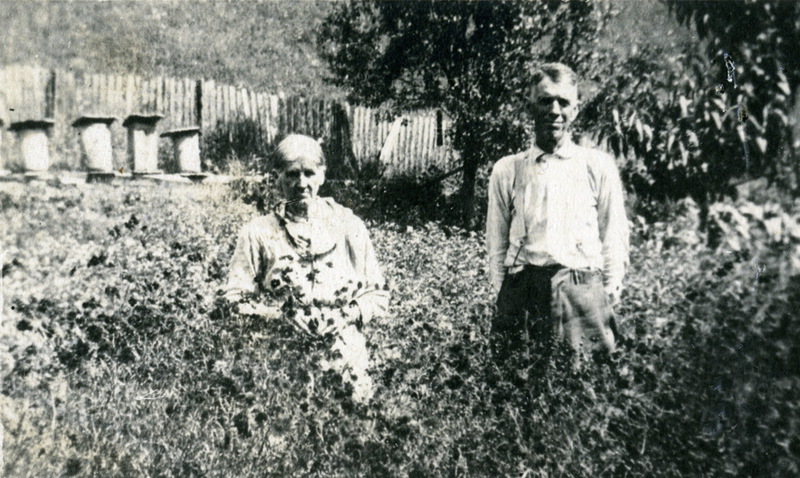 Following his donation of land for the school in 1913, Uncle William only lived six more years, until 1918. Aunt Sal lived on until 1925. 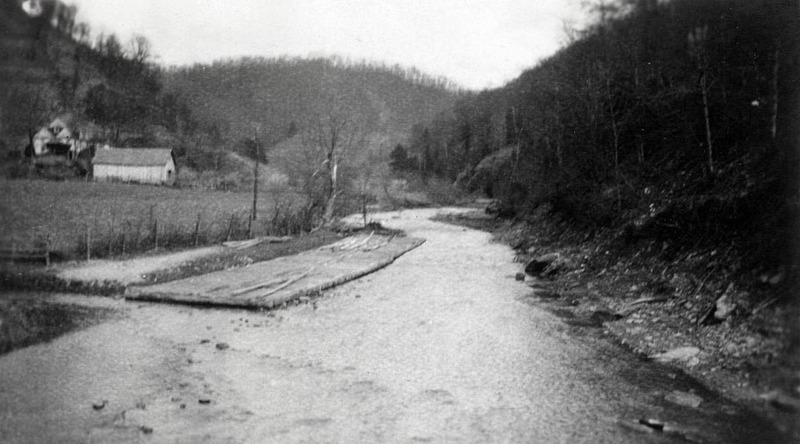 It was their generous donation of land, their advocacy and their vision that made the school on the headwaters of the Kentucky River, a reality. When Uncle William and Aunt Sal gave the land they did so with the intent to create a school and they sought out the two remarkable women who became the new Settlement’s directors, Pettit and de Long. In Pettit and de Long the Creeches found a congruence of goals and vision. Pettit and de Long took the educational challenge of Uncle William to heart. Katherine Pettit, a member of the Lexington Federation of Women’s Clubs, had, with May Stone, founded Hindman Settlement School in 1900, and knew what she wanted in a school. Perhaps more importantly, she knew where she wanted a school. Ethel de Long , who had worked for many years as an educator with Pettit at Hindman, was a pragmatic and articulate program creator. 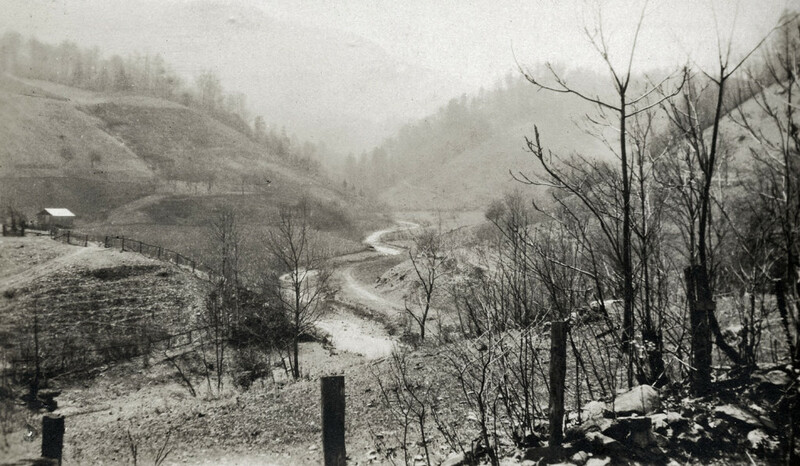 Like Pettit, she, too,had a profound attachment to the mountains of eastern Kentucky. 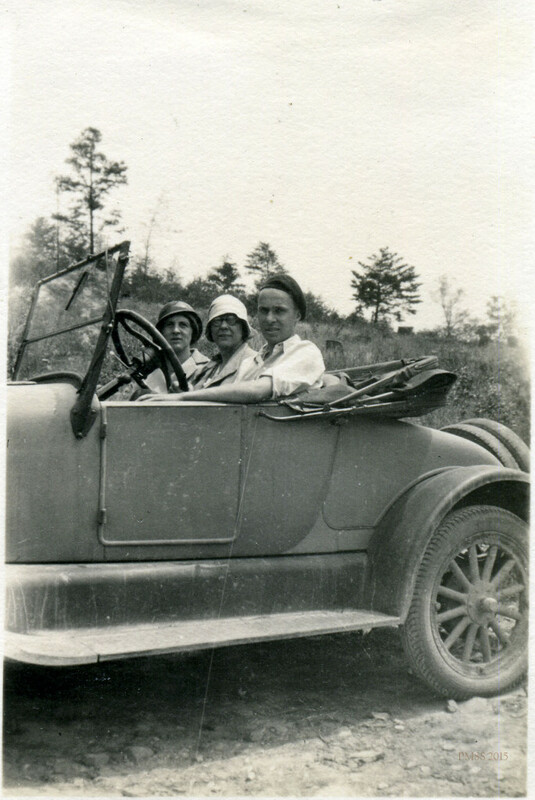 The Creeches, Pettit, de Long, and Hook as well as others in the Pine Mountain community were a productive and dynamic combination. The quick formation of an Advisory Board provided the outside oversight, funding and professional support needed to grow the institution. The founders of 1913 gave the school a solid foundation on which it would grow and flourish. And, grow it did. In 2013 the school celebrated its one-hundredth year as an educational institution confirming the promise and the wisdom of those early planners. 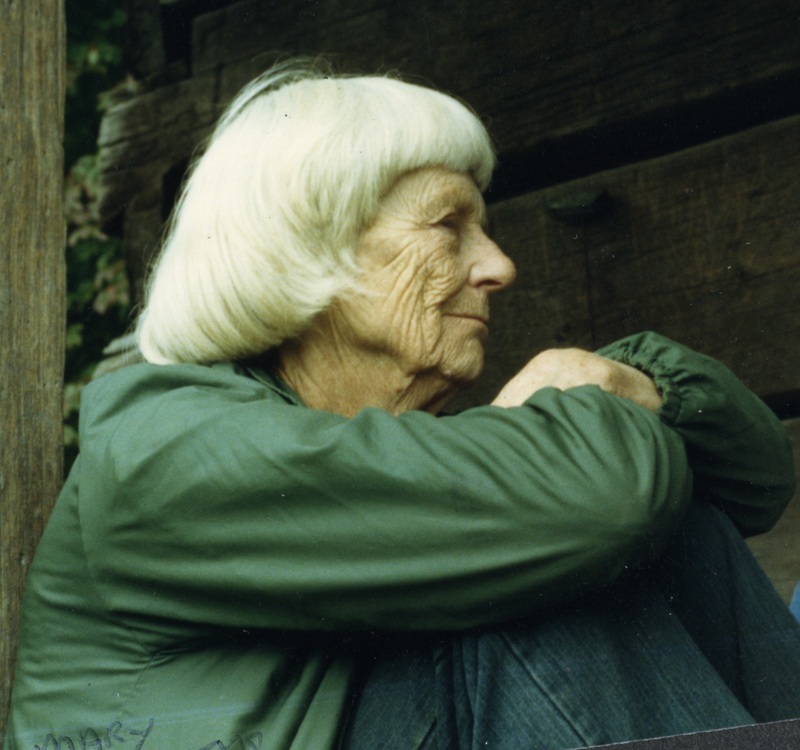 Mary Rogers, wife of Burton Rogers, School Director (1949-1983), and founder of the Environmental Education program at the School, wrote a “Story of Pine Mountain Settlement School” for the School’s 50th Anniversary. ” She [Pettit] had a deep love for the people, and concern for their needs. At Hindman she had already translated the work of Jane Addams and the urban settlement movement into a rural idiom. Now, her thoughts were turning to more isolated, as yet un-served, areas of the mountains. Traditional schooling was a part of her plan, but she envisaged also a settlement serving a whole community in its economic, health and cultural development. A settlement would not attempt to substitute an outside culture for the indigenous. It would try to strengthen people’s faith in their own heritage, making use of both the mountain environment and their unique traditions as media for learning. It would help people to retain a secure sense of their own worth as human beings. The new school must have sufficient acreage to supply the bulk of its own needs. It must be less dependent on the slow, unreliable transportation of supplies by ox wagon through almost roadless country. Education was foremost in the mind of Uncle William, and education was at the center of the mission of the two women co-founders of the institution, and all three agreed that this education must be a pragmatic education. It must give the children of the school not only ‘book larnin’, but it must also give them “education for life.” Uncle William described this “education for life” as an understanding of farming practice and a respect for the land that would combine with traditional educational practice. Only then could the total education of the person occur. 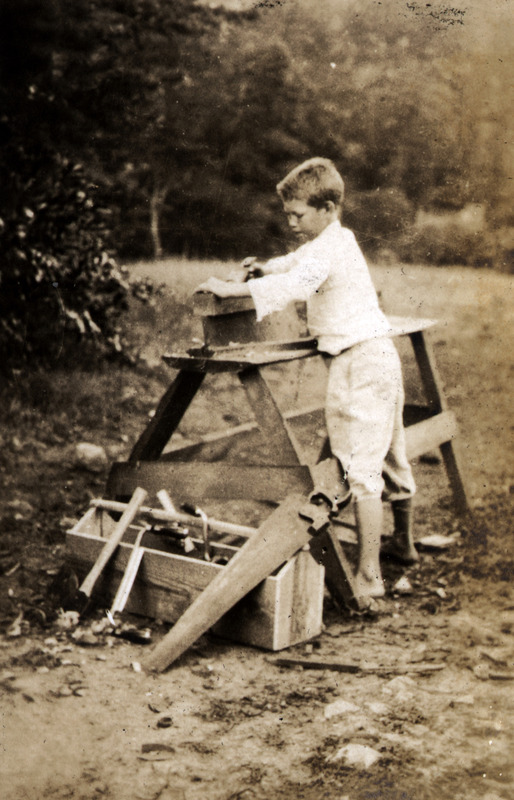 Head, hand and heart at work in this early carpentry project by a student of the school. 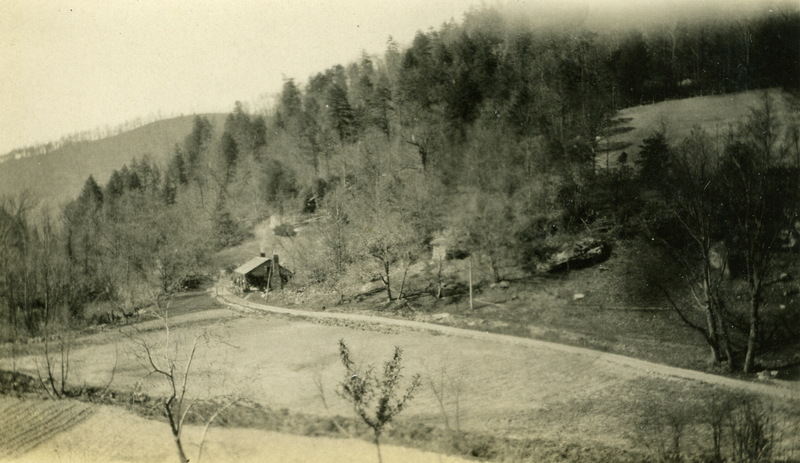 Throughout the one-hundred year history of the School, the adherence to an agrarian focus is central to the understanding Pine Mountain’s “education for life.” The pragmatic work engaged by all who passed through the School, emphasized education as a life-long process and one for which they, alone, were responsible. “Education for life” demanded mindfulness throughout every day. Participation in farming, food preparation, community celebration, woodworking, environmental field work and more, were also anchored in a classroom experience. Even today, this hybrid approach solidified by hands-on learning experiences, has proven to be one of the most effective learning strategies, . Today as we move rapidly toward ecological and social disruptions, the need to remind ourselves of our responsibility to an “education for life” is even more critical. The education at Pine Mountain has always served in this capacity. Pine Mountain Settlement School is a site that educates for life and that is committed to the literacy of historical community and how that history informs the living community. This education, both formal and informal, is essential to tying together the land and the people in a fundamental and sustainable eco-system. “Twenty years ago  Kentucky ranked fortieth in Education among the states of the Union; today she is still fortieth,” reported the Kentucky Education Commission after a two-year study made of education in schools and colleges in the Commonwealth from 1932 to 1934. This was the pre-Depression era and it raised desperate appeals for ideas and help with a school system ravaged by a growing economic crisis. As part of their 1932 study, the state surveyed the students whose lives they were charged to improve. Pine Mountain was visited and queried about educational needs and programs. The surveyors found no shortage of students who were willing to closely critique their school and to make recommendations to their surveyors. Remarkably, the surveyors listened. The educational journeys described by the students served as a model for planning a new course for education within the state. In 2010 Kentucky’s ranking in a national survey was 34th in the nation. In two years the state jumped 24 places in the Quality Counts annual report as recorded in Education Week magazine. In 2013 the state ranked an amazing 10th in the national rankings for K-12 education. Something is working. Attention to rural youth is part of the success. The rural youth guidance institute, called the Pine Mountain Institute, begun by director, Glyn Morris, in 1934 became known throughout the country as a progressive and successful educational model. The Pine Mountain students were “educated for life” and the Depression years in Appalachia and at Pine Mountain Settlement School provided some of the best lessons for that education. The 1930s had many teaching moments that few who experienced them, forgot — student or teacher. The exploration of farming, food and celebrations at Pine Mountain Settlement School found in this series of essays has been written by one of Pine Mountain’s children, the daughter of one of the School’s farmers. The essays are offered as a contribution to the history of the institution and are filtered through the writer’s perspective. There are many other perspectives. humility, despair, determination, hope, anger, but, especially, joy. 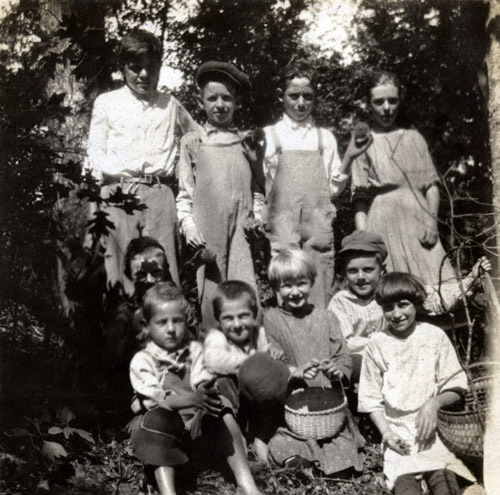 Some who view the photographs or read the workers letters about the community will only see the poverty and possibly the exploitation of “outsiders.” That is not what the school was or is about and that is not what the archive ultimately reveals. The author John Berger reminds us in And our faces, my heart, as brief as photos (Berger, 1984) that time and space are inseparable but that we must be careful that we give so much to the historical projection of time. “…it is,” he argues, “space not time that hides consequences from us.” It is “up Cutshin and down Greasy,” and “between Hel-fer-Sartin and Kingdom Come,” and Boston and Turkey Neck Bend, that we arrange our critical perspective. The agricultural essence of the unique rural community on the north side of Pine Mountain as explored through the lives of those who worked at Pine Mountain Settlement School and those who lived near-by in the community, is as relevant today as it was when the first vision was shaped by the founders. The words of those who knew and know the land best are sprinkled throughout the following narratives, but it’s the photographs, the images of land and people that most vividly detail the agrarian evolution of the community. These are pictures in which education is in a constant reciprocal stream. In photograph and text the interactive life along the Pine Mountain range and at the Pine Mountain Settlement School is a reassertion of geographies of hope and finding a personal space in our society. Pine Mountain Settlement School today continues to be an experiment in rural settlement school practice as well as a model environmental education school. As the School celebrates 100 years, the community celebrates with the School — people and place and an unwavering relationship to the land and to the lessons that may be learned from a close association with geography in all its variants. People and place, student and land, farmer, ecologist and mountainside, are all tied to an educational vision and mission. Today, in the school’s programs and in its “education for life” the evolving vision and mission remains fresh and inspiring. No matter where one enters the narrative about the School, the general aim is clear. It is to create critical minds and a sensitive eyes when looking at how seasons pass, space evolves, and lives come and pass in the valley. It is a narrative that is both sequential and simultaneous, history and historical. Today, as our polemics are animated by ideological conflict, we often lose our close touch with both time and space. History melts into a sea of irrationality and speed and often only surfaces to support some argument or political position. We tend to forget in the rush of our lives that there are many more generations to inspire, and many more lessons to learn and many more stories to tell of our unique place in time and space. Many of those lessons are found in our historical archives, while others may be found on a hike to Jack’s Gap where the expanse of mountains stretches like a troubled sea, green and brown with surface mining, but fragrant with fresh pine and vibrant with sunrise and sunset. 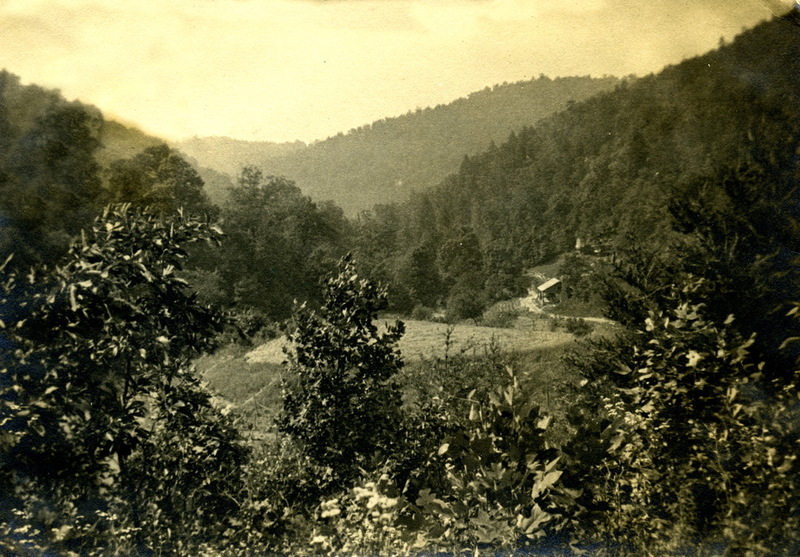 As we all reach for improvement in the quality of our lives, there are many reminders in the stories and images from Pine Mountain that tell us, like Uncle William, that life does not need the accumulation of wealth, so much as it requires the nurturing of the wealth that surrounds us all. As we look backward with intelligence at the 100 years of Pine Mountain Settlement School, we will hopefully be better prepared to move forward with inspiration and intention to a vital future wherever that future may find each of us. I suspect Uncle William is smiling as his dream unfolds. 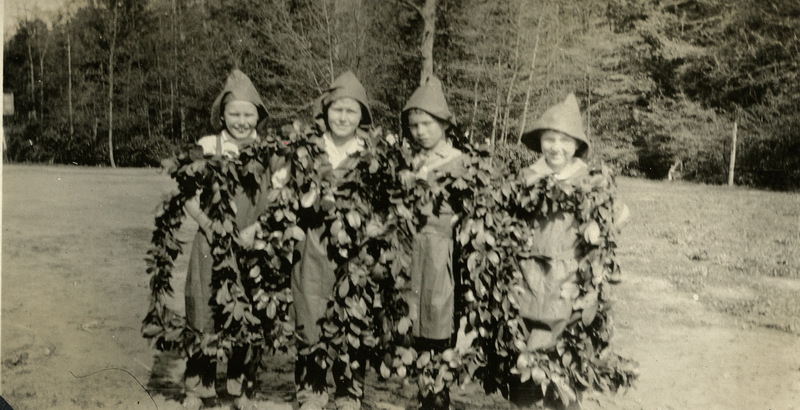 This entry was posted in DANCING IN THE CABBAGE PATCH, DANCING IN THE CABBAGE PATCH - II, ENVIRONMENTALISM, FOODWAYS and tagged agriculture, Aunt Sal's Cabin, carpentry, celebration, education, Ethel de Long, farming, geography, Katherine Pettit, land, Mary Rockwell Hook, rural life, settlement schools, Southern Appalachians, Uncle William Creech, Wendell Berry on 2014-01-27 by pmss_editor.